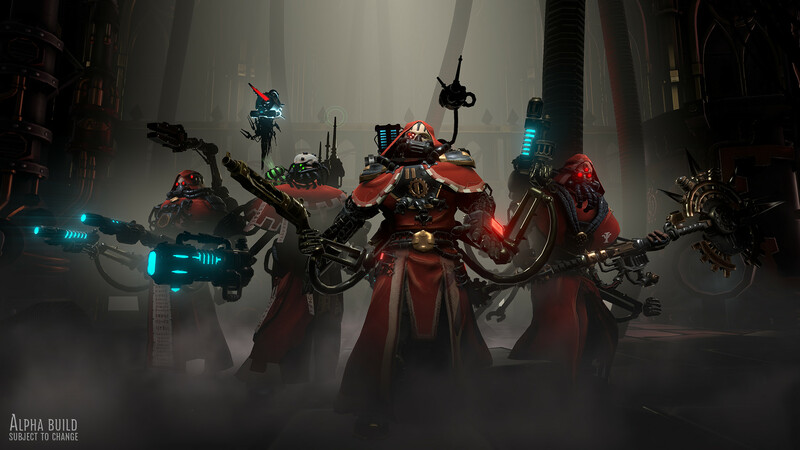 Yesterday publisher Kasedo Games announced Warhammer 40,000: Mechanicus, an upcoming turn-based tactical game due to launch this year on PC (Steam) for Windows, Mac OS and Linux. Developed by Bulwark Studios, a team that already released the game Crowntakers on Steam, it will focus on the titular Adeptus Mechanicus branch of the Imperium of Man. You can find the official feature set and debut trailer of Warhammer 40,000: Mechanicus below. Take control of one of the most technologically advanced armies in the Imperium – The Adeptus Mechanicus. As Magos Dominus Faustinius, you’ll lead the expedition on the newly rediscovered planet of Silva Tenebris. Manage resources, discover long-forgotten tech, plan tactical operations using the Noosphere technology and control your Tech-Priests every move. Your every decision will shape the missions ahead and ultimately decide the fate of the troops under your command. However, choose your path carefully – the Imperium depends on it.